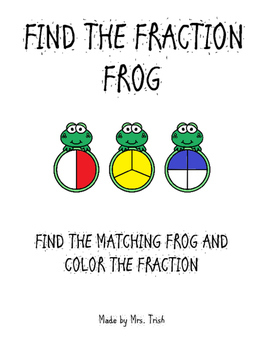 With this fun and engaging game, have your student pick a card and color the fraction on a matching frog. 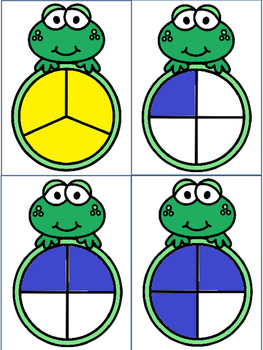 Then have them record their answer on the recording sheet. 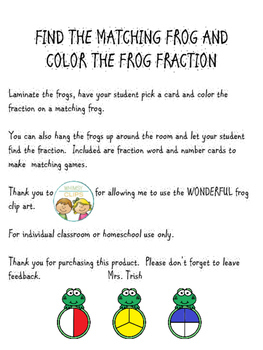 You can also hang the frogs up around the room and let your student find the fraction. 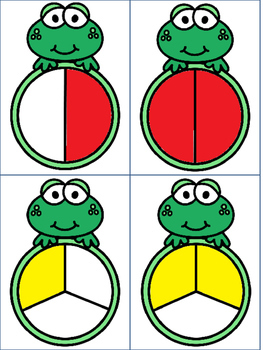 Included are fraction word and number cards to make 2 additional matching games.